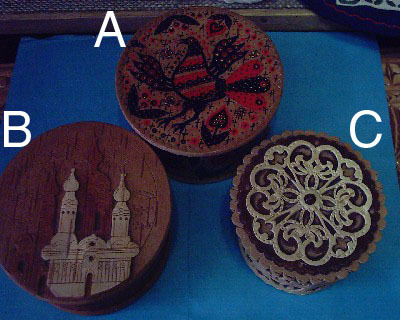 These are intricate, handcrafted Russian style boxes. They are made out of Birch tree rind. Since they are all unique, please select one here and we will try to find you something similar.